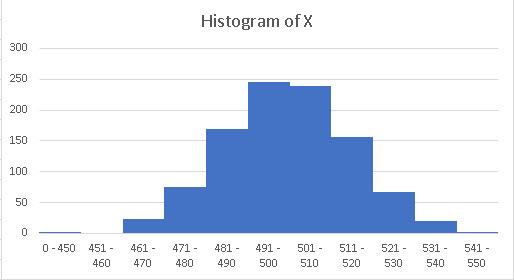 A histogram is a graph that you can use to assess the shape and spread of continuous sample data. You might create a histogram before or during an analysis to help confirm assumptions and guide additional analyses. The histogram above is exactly the kind of histogram that this page is concerned with although there are variations on this graph. Downloads: download the following two files to explore this page in full and to see just how I created five histograms in five different ways! The Excel file for the examples discussed here: five_ways_histogram … this file uses random numbers to create the raw data so what you see here will be different from what you see there. You will also notice that you need to increase the height of row 19 to see the sparkline in all its glory!